You’ve got this: think end-of-term at school. Paper cut-out snowflakes; decorating gingerbread men with icing sugar; decorating painted trees with glitter and stickers. Get out all of the bits and bobs you’ve collected over the year and try to make greeting cards – see what the kids can create out of scraps of wrapping papers and bits of ribbon. You could find templates online for them to colour in, or let their imaginations run completely wild: either way, you’re challenging their decision-making and encouraging creativity. Find 50 more ideas for indoors and outdoors here, courtesy of Today’s Parent. Enjoy a Scandi-style world filled with magical creatures…? Our sister companies (Flying Eye, and BIGUMAKU) really did choose the best time of year to introduce the wonderful world of Hilda. You can experience this charming, modern take on Scandinavian folklore while curled up next to the fire with the comics or books, or stream the charming new series on Netflix. Finally, download the app on the App Store (and soon, Google Play) to meet creatures yourself. Whatever works for your family, Hilda is waiting to meet you! Of course, the best way to experience winter is to soak it all in – wrap up, and get outside! 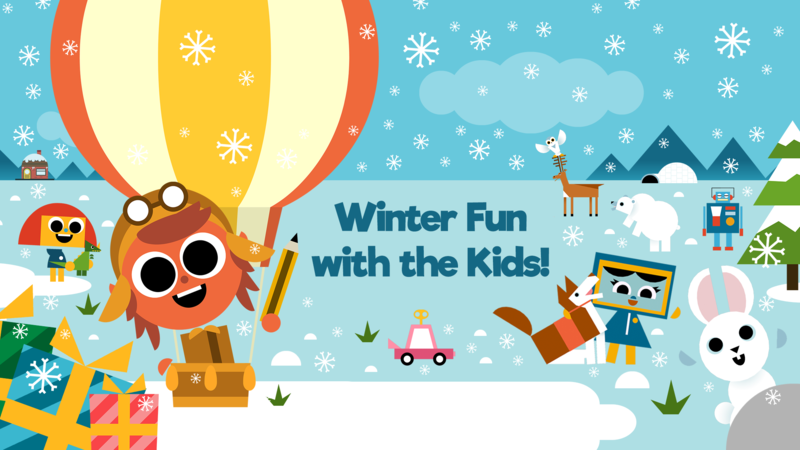 There are tons of winter festivals and markets that make a lovely day out with the kids, offering rides, ice rinks, and lots of festive food of course. See a bonfire, toast marshmallows, grab some sparklers (and buckets full of water of course! ); enjoy the way this time of year brings people together. Of course, you can bring the learning home too – especially if it’s especially cold outside and you’d rather not venture out! Watch the snow (or rain) fall outside over a beautiful atlas or encyclopaedia, studying the Arctic and Antarctic. Explore and draw some Arctic animals with our good friend Artie, or head back to your favourite streaming service to watch a nature documentary. Enjoy the cooler weather, and keep an eye out for some of our gift ideas, coming soon!